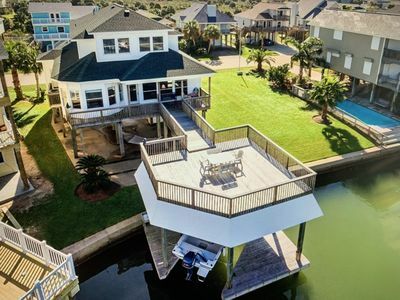 Emerald 1111 has a fantastic view of Stewart Beach all the way to Pleasure Pier! 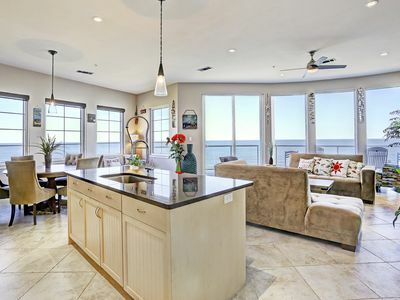 The Emerald 1111 offers the most spectacular view of the Gulf of Mexico and Stewart Beach. 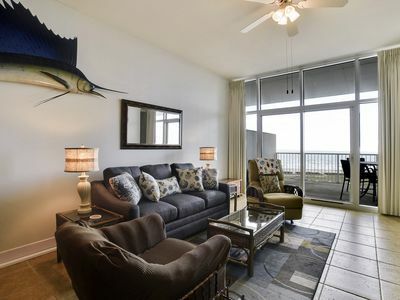 This 11th floor condo near the elevator in the luxurious Emerald By the Sea has been recently updated by the new owners. The property will be ready for rent in January 2017 after all of the improvements are complete! 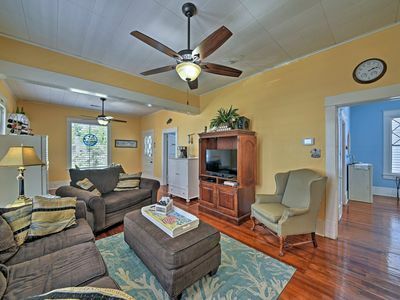 This is a large 3 bedroom, 2 bath condo that will accommodate up to 8 guests comfortably. 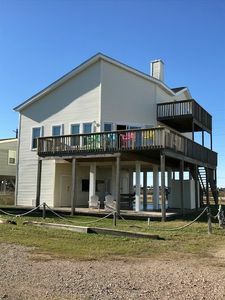 Owner will consider monthly rentals in the off season, please ask your vacation planner for details. Luxurious high rise building at the East end of Seawall Boulevard, one of the finest places to stay on Galveston Island. Weekend, weekly and monthly rates available (off season). 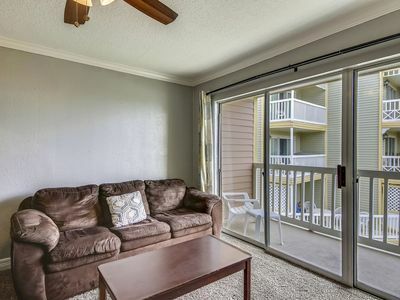 Relax in this newly renovated 3 bedroom, 2 bath unit with a very large balcony that spans both the living area and master bedroom. 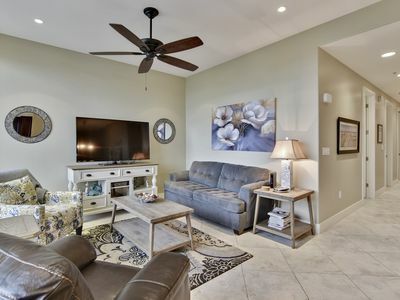 This special unit features 10 foot ceilings, ceiling fans in bedrooms, new flooring in bedrooms and fresh paint throughout the condominium. 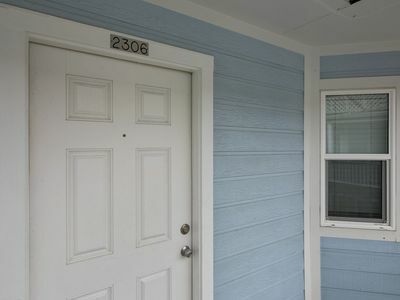 Located at 500 Seawall Boulevard (at the intersection of Broadway and Seawall) across from world famous Stewart Beach! 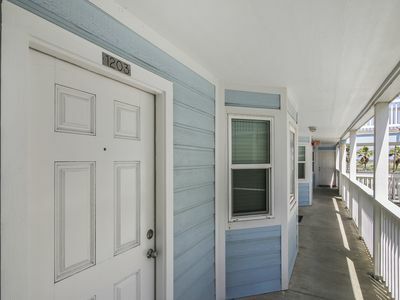 Walking distance to restaurants, shopping, UTMB and two miles to The Historic Strand District. 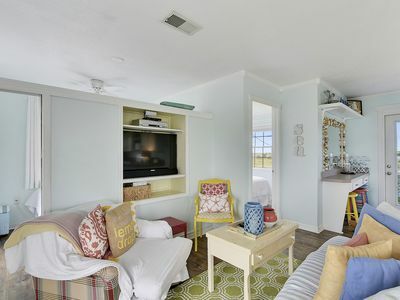 Master bedroom features queen bed and walk out to balcony, second bedroom has queen bed and 3rd bedroom is a smaller bedroom with a twin over twin trundle bed, living area features a queen sleeper sofa for a total of 8 adults. 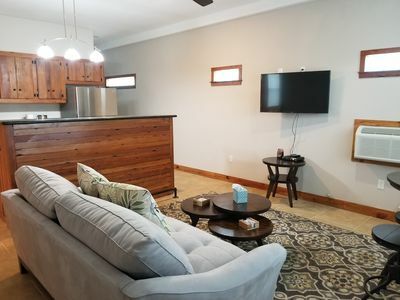 The modern kitchen is full size with updated appliances and all of the utensils and cooking implements needed for either a full meal or an evening snack. The stackable washer/dryer are located in the large walk in closet in the kitchen. 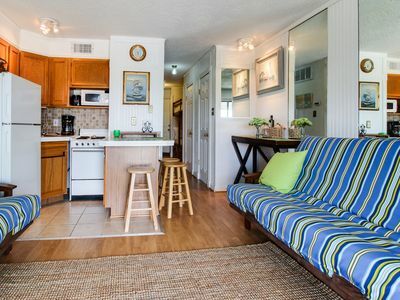 Enjoy dining on the balcony off of the living area or eat at the kitchen peninsula bar stools. For Beach Fun: Stewart Beach is Galveston's family friendly go-to beach. With sponsored sports like volleyball tournaments during peak season, you can be sure that there is always something going on - even for those "fish out of water". The sun sensitive can rent umbrellas and chairs from our Gulf Coast Concierge (ask your vacation planner). Shower off at Stewart Beach before heading back to your unit at The Emerald by the Sea. 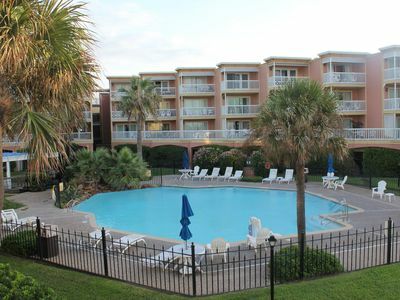 For Pool Fun: The Emerald by the Sea features a gorgeous pool on the 6th floor of the building. 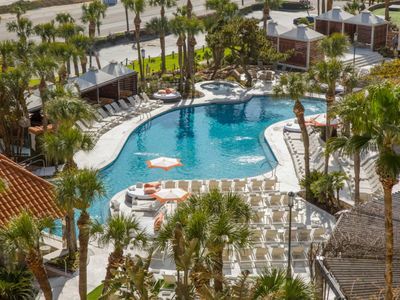 Emerald by the Sea will start pool deck demolition on January 2nd, 2019. This will close the pool deck through April 2019. The Emerald also features a work out room, movie room and wine tasting room. Garage parking for guests' convenience. No pets allowed at The Emerald. 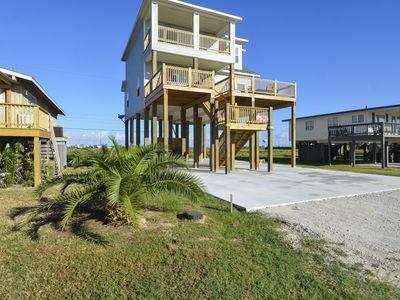 A Salty Kiss in Bermuda Beach, 3rd Row with Beach View, New Construction in 2016. FREE ACTIVITIES! 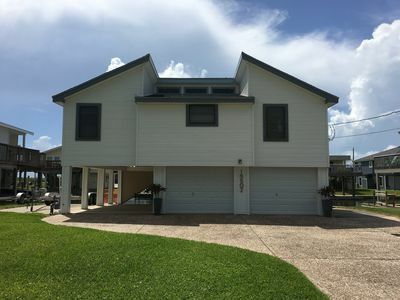 Gulf view condo w/shared pools, private balcony, walk to the beach! Top Floor 701 Queen of Diamonds - Large Amazing Ocean & City View Condo! 1585 sq. 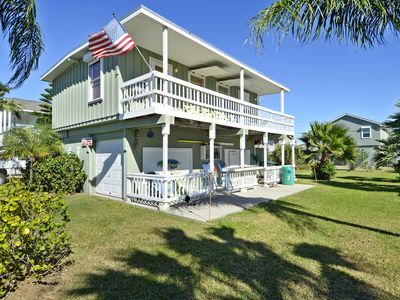 ft.
Diamond Beach 304-Sapphire, 3/2, sleeps 8! Fantastic views! 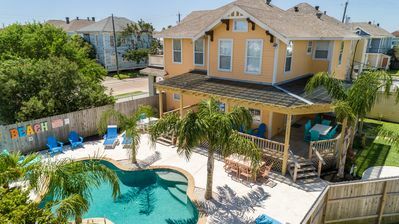 5★ Resort w/ heated pool & hot tub! 15th floor beach views. Fine dining & more! 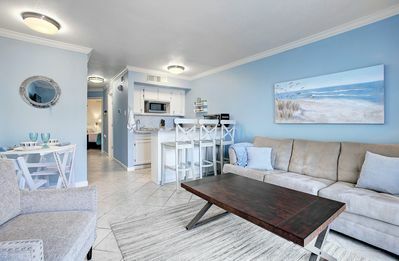 Welcome to our family owned, beachfront condo! Come enjoy some fun in the sun! 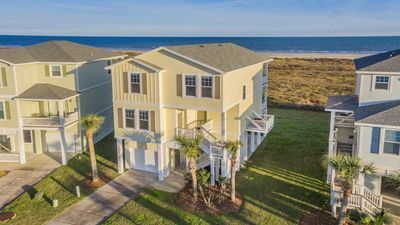 Amazing views just steps to the pool and beach!